Home News The Terry Kelly Poetry Prize Scoops Two Awards! The Terry Kelly Poetry Prize (TKPP) was set up in memory of respected journalist and writer Terry Kelly. The prize aims to inspire all young people across the North East to develop a passion for poetry. Each year The TKPP has grown. Staff at The Customs House in South Shields are delighted to announce they have received a grant of £6000 from The Gillian Dickinson Trust to support The Terry Kelly Poetry Prize 2019. The Terry Kelly Poetry Prize has also scooped another award on behalf of the Tyne & Wear High Sherriff, Mr Paul Callaghan CBE. This award recognises the contribution the prize makes to giving young people a constructive activity and event to take part in not just across Tyne & Wear, but the whole North East region. 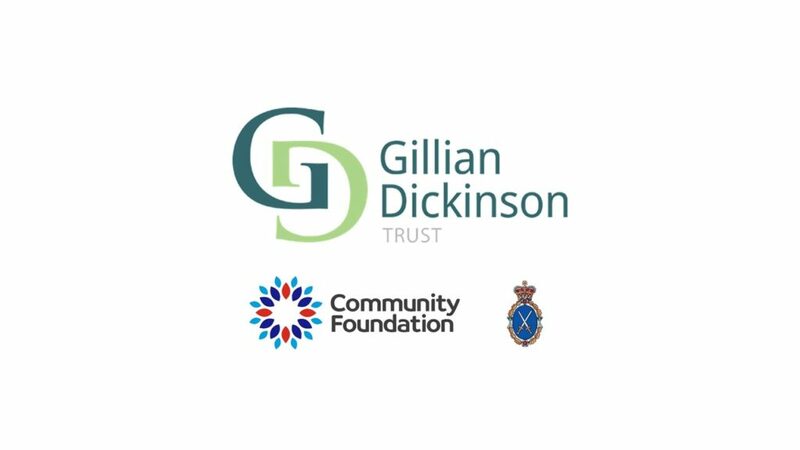 The generous funding from The Gillian Dickinson Trust will pay for a series of poetry writing workshops with schools across South Tyneside. The Learning and Participation team at The Customs House are currently approaching targeted schools across the borough where children have additional needs and might not imagine this competition is for them. The Customs House is delighted to confirm the workshops will be led by Matt “Ken Masters” Sokell. Ken Masters was chosen because of his experience working with young people with additional needs, professional practice and work with The Customs House on a previous poetry project. The Gillian Dickinson Trust funding will also allow the development of a poetry resource. Elizabeth Kane Learning Officer at the arts venue will be working closely with Terry’s brother writer Tom Kelly. This will help teachers to inspire learners in Key Stage 3 (Years 7-9) supporting them to enter next year’s competition. Perhaps most exciting the funding will allow the appointment of a young TKPP Coordinator. This young person aged 18-25 will help collate the poems, ensure they are edited in a consistent style, compile them into the anthology and help with the celebration event. The High Sheriff’s Award will support the cost of publishing this year’s anthology which is free to those who enter and additional copies are distributed at The Customs House and The Word, National Centre for the Written Word. 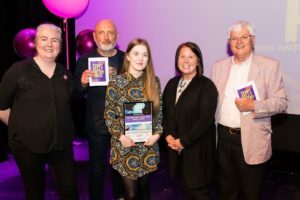 This year’s young judge Lauren Aspery will be heading to the Beacon of Light in Sunderland later this month to accept the award on behalf of The Customs House and all the young poets who take part. Elizabeth Kane Learning Officer at The Customs House. Alistair Robinson (Host and Judge), Lauren Aspery (winner of the over 16 category for ‘My First Pair’). Heather McDonald from the Scottish Power Foundation sponsors of The Takeover Festival and Tom Kelly. Photo by Billy Amann. The Terry Kelly Poetry Prize is one of the cornerstone events of The Customs House annual Takeover Festival. The Takeover is planned and delivered by a team of young people from diverse backgrounds. “The Customs House are so thankful to our funders. Without The Gillian Dickinson Trust’s support we know there are barriers that would prevent young people taking part or even thinking this competition was for them. Their funding means more young people from The North East will be inspired by poetry. The Terry Kelly Poetry Prize is open for entries now. You can find out more here: https://www.customshouse.co.uk/which-young-poet-will-win-the-terry-kelly-poetry-prize-2019/ the deadline for entries is 9am on Friday 26th April 2019. The awards ceremony takes place during The Customs House annual Takeover Youth Arts Festival in the May half-term.